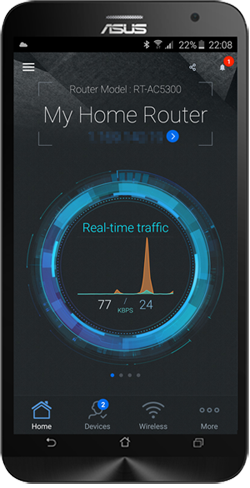 Concurrent speed up to a combined 750 Mbps data rate. No brand is more likely to be recommended than ASUS. The company receives excellent marks for their ease of setup and reliability. PC Magazine >>Learn more. Powered by 5th generation Wi-Fi (5G Wi-Fi), the 802.11ac chipset gives the RT-AC53 faster wireless speeds than N technology. At 2.4 GHz, it reaches 300 Mbps, while on the 5GHz band it blazes to 433 Mbps. The upgraded bandwidth has the higher capacity you need to increase Wi-Fi enjoyment at home. With notebooks, desktops, pads, and smartphones now all Wi-Fi-reliant, its time to upgrade to the next generation to expand you connectivity now and in the future. Delivering both 2.4 GHz and 5 GHz concurrent bands up to 400Mbps and 433Mbps respectively, the RT-AC53 has a total speed of up to 733Mbps connectivity to provide speed with stability. Perform basic internet tasks like Web browsing and file downloading under the 2.4 GHz band, while also simultaneously streaming 3D HD content and other demanding applications smoothly on the 5 GHz band. 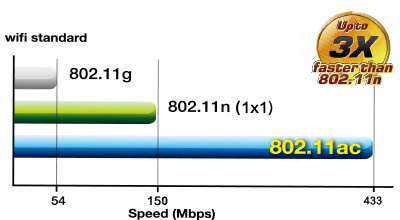 10X faster Gigabit WAN lets you fully enjoy the internet speed subscribed from fiber internet service provider. 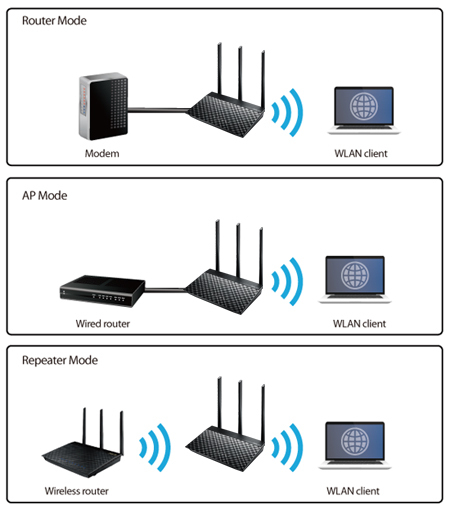 Instantly select router, access point and repeater modes with extra-quick settings in the user-friendly interface. No delays and no hassles  whatever your situation, take your pick and get connected.